Leading up to the Mexican presidential elections, these are the men and women who are either part of a coalition or running as independent to become the next president of the Republic. Note: The candidates are ordered in alphabetical order by political party. The once called ‘boy wonder,’ Ricardo Anaya’s meteoric rise in Mexican politics occurred thanks to the support of former PAN President Gustavo Madero. The young Queretaran politician occupied various leadership positions within the PAN before becoming president of the party, when Gustavo Madero decided to run for a seat in Congress. From the party’s presidency, Anaya has made a name for himself thanks to several successes the party has had under his guidance. The impressive 2016 run the party had, where they snatched six governorships previously governed by the PRI—including the highly populated Veracruz for the first time—took the party to its highest total of states governed in history (12 out of 32 states). Anaya’s rise has been accompanied by pragmatic decisions since he was the leader of the party in the Chamber of Deputies, but some of those decisions created frictions boosting divisions within the party, especially when former First Lady, Margarita Zavala, resigned to being a party a member and decided to compete for the presidency as an independent candidate. The pragmatic approach Ricardo Anaya has taken with the PAN (i.e. fostering electoral alliances with the center-left PRD in several states) has paid its dividends as the PAN has resurfaced as the main opposition party in terms of the governorships and congressional (federal and local) seats it controls, but it has not come free of drawbacks. Many (within and outside of the PAN) consider that the electoral alliance with the PRD and Citizens Movement party, is a desperate move to compete against the popular Andrés Manuel López Obrador (MORENA) and the PRI. This “Forward Front for Mexico” (Por México al Frente), as it has been named by the PAN and PRD leaderships, has been criticized for seeking office for the sake of power regardless of policy or ideological drivers. An electoral vehicle like this was the ideal way to boost his presidential candidacy which otherwise would have trouble competing against López Obrador, according to the most recent surveys. Additionally, Anaya was accused by other potential PAN presidential candidates of using the party structure (and an impressive amount of party TV and radio ads) to further his own candidacy. José Antonio Meade is the ultimate Mexican technocrat. 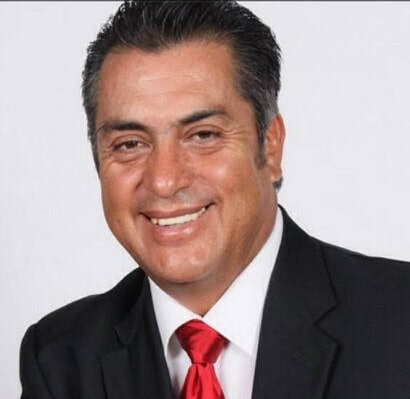 Proficient in multiple departments under two different administrations, “Pepe” Meade has become a political figure that lays in the intersection between right-wing PRI supporters and PAN supporters. The only secretary that remained from the Calderon (PAN) administration, Meade is the son of a former PRI Federal Deputy and Deputy Secretary of the Interior under President Fox (PAN), Dionisio Meade. His experience within the finance sector has led two presidents to make him Secretary of Finance in moments when the incumbent administration had to send strong signals of stability to the markets from what is essentially the most powerful department in the Mexican government. José Antonio Meade’s tenure in different departments has made him an ideal backup that can be positively used by the president thanks to his versatility, allowing him to head five departments and even to have been considered as a potential replacement for Agustin Carstens as Mexico’s central banker. Thanks to his past performance, Meade increased his visibility over the last year, particularly as the PRI struggled to find a candidate who could beat the popular Andrés Manuel López Obrador from a pool of potential candidates that have to carry the weight of the decisions of the incumbent administration. President Peña Nieto, who was the real elector within the PRI, probably considered the possibility that Meade may receive strategic votes from PAN supporters (and many business people) that prefer a candidate closer to their preferences like Meade rather than a López Obrador presidency. Nevertheless, Meade still faces an uphill battle in the presidential race as he starts in third place (within striking distance from the Front's candidate) but far behind from Lopez Obrador. Andrés Manuel López Obrador (AMLO) is the only candidate from this list who has competed for the presidency of Mexico before. The former Mayor of Mexico City and the current front-runner in most election surveys, AMLO has become one of the most important political figure in Mexico in the 21st century. His unique ability to set the political agenda, since his time as mayor of the country's capital, has granted him huge visibility and a significant fan base. Over the last 17 years, he has been campaigning to become the president of the Republic under a rhetoric of honesty and policies actually geared towards helping the poor, which has made López Obrador the only politician in Mexico who has a personal—rather than party owned—voter base. In other words, voters vote for him and not for the party that nominates him. That is the reason he commanded an important exodus of politicians (and supporters) from other left-wing parties like the PRD, which became the MORENA party in 2014—his own political party. 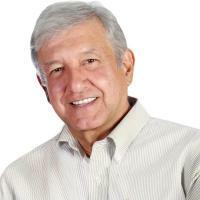 López Obrador is a very charismatic leader who has campaigned around the idea of eliminating the crony capitalism generated by the corrupt mafia del poder (“the mafia in power”), who in his words control political and economic power in Mexico. He is single-minded and determined, able to retell every event that happens in the Mexican political arena as part of the actions of “the enemies of the people” (el pueblo bueno), who are consequently his enemies; his narrative is consistent, according to him, everything can be explained by this struggle from the have-nots against the corruption of the haves. For ideas like this, he has been associated with other Latin American left-wing populist politicians, even if his demagogic promises have been more campaign rhetoric than actual policies, as his time as mayor of Mexico City showed. Nevertheless, his political protests and riots after marginally losing the 2006 presidential election (by a 0.56 percent margin against the PAN’s Felipe Calderon)—in which he blockaded the most important business corridor in Mexico City for two and a half months (the Reforma corridor from the Chapultepec Castle to the Zocalo city square) with hundreds of tents and camp sites from his supporters—showcased to many the actions he could take if he achieved victory. Since then, López Obrador has attempted to wash off the authoritarian stain that these actions placed on him in the eyes of many independent voters, while continuing to be a semi-godly figure for his supporters who see in him as the only person with the moral integrity to drain the corruption swamp of Mexican politics. A deeply polarizing figure, AMLO is seen as the solution to Mexico’s problems for many, while also being greatly feared by many others. Jaime Heliodoro Rodríguez Calderón "El Bronco"
The only independent candidate on the list that remains, "The Bronco" arrived under the strangest of circumstances to the electoral ballot. In order to be an independent candidate one had to gather a little over 866 thousand signatures that came from the 32 states. Rodríguez Calderón gathered more than 2 million signatures but after being reviewed by the National Electoral Institute, they determined that more than 70% of them were fake or had errors, so he came 14 thousand signatures under the threshold. However, the Electoral Tribunal ruled that the time to appeal and prove that decision was wrong was insufficient with respect to the times of the electoral process, so they they opted to let him participate. Rodriguez Calderón has no possibility of winning the presidency but he has become the first independent candidate to be voted in a presidential race in Mexico after the other independent candidate, former First Lady Margarita Zavala, withdrew from the race after having insufficient campaign funds to continue. Rodríguez Calderón's rancher-like bravado and highly criticized policies during the campaign (i.e. chopping the hand of criminals) have been an amusement for the the competition, even if not a very serious one.